Keansburg Amusement Park has launched it's first ever online apparel store. The first ever endeavor by Keansburg Amusement Park will feature t-shirts, hoodie sweatshirts and an embroidered hat all with the new Keansburg Amusement Park logo on it. Proceeds from the apparel sales will help to rebuild the Olde Heidelberg Inn. Keansburg Amusement Park has launched it’s first ever online apparel store. The first ever endeavor by Keansburg Amusement Park will feature t-shirts, hoodie sweatshirts and an embroidered hat all with the new Keansburg Amusement Park logo on it. Proceeds from the apparel sales will help to rebuild the Olde Heidelberg Inn. 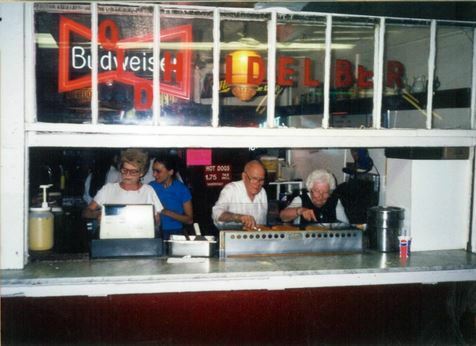 The Olde Heidelberg Inn is a century old landmark along the Bayshore known for it’s grilled hot dogs. The Olde Heidelberg Inn was completely destroyed in Hurricane Sandy and is currently being rebuilt. To purchase Keansburg Amusement Park apparel, please visit www.keansburgamusementpark.com. The apparel store will be open until December 5th. Keansburg Amusement Park and Runaway Rapids continues its 110 year tradition of offering family fun on the Jersey Shore. Park attractions include rides, games, go karts, water park, fishing pier and classic Jersey Boardwalk food. Visit Keansburg Amusement Park and Runaway Rapids website at www.keansburgamusementpark.com for more information.